On a sensationally star-studded edition of After Hours AM/America’s Most Haunted Radio — paranormal talk Thursdays 9-11pE with hosts Joel Sturgis and Eric Olsen — we visit with celebrated paranormal investigators Amy Bruni and Adam Berry, stars of KINDRED SPIRITS, now in its second season on TLC. We talk with Amy and Adam at 10pE; at 9pE Joel and Eric review the week’s most edifying paranormal news from the America’s Most Haunted Twitter feed. And don’t forget! Joel is at PARACON 2017 at the Shooting Star Casino in Mahnomen, Minnesota all weekend broadcasting live, interviewing para-celebs and having a grand old time. Listen here! 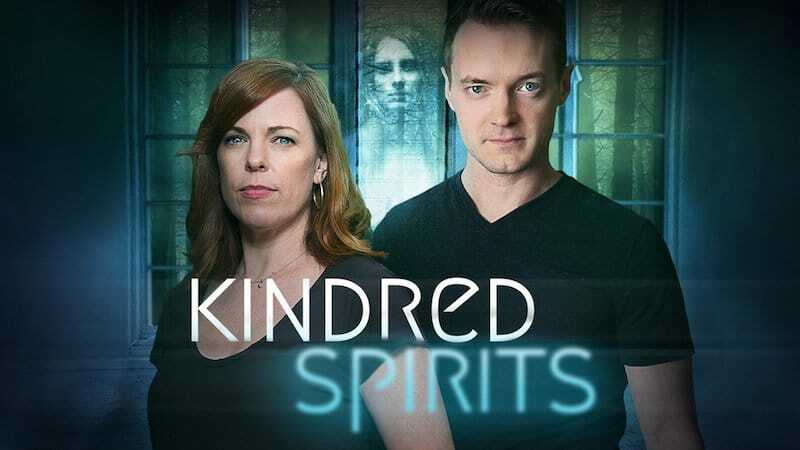 Season 2 of TLC’s hit series KINDRED SPIRITS — airing Fridays at 9/8c — follows renowned ghost hunters Amy Bruni and Adam Berry as they help people tormented by paranormal activity in their homes. Frightened by mysterious activity but hesitant to pick up and leave, desperate families have turned to two of America’s leading paranormal investigators to capture evidence, help them overcome their fear, take back their homes, and reclaim their lives. In this week’s episode, fittingly airing on Friday the 13th, Amy and Adam are contacted by a couple in Somersworth, N.H., whose three children have been targeted by invisible forces in their home. Two are visited at night by a spirit that speaks to them, and the other was strangled by invisible forces. Amy and Adam know that strangulation, midnight visits and bizarre voices are a dangerous combination. They learn that a couple of blocks away from the house was the site of what was dubbed “The Murder of the Century” in 1897, in which Joseph Kelley killed a bank cashier. Even more shocking, a gravestone is discovered in the homeowner’s backyard. As Amy got older, her fascination kept growing. 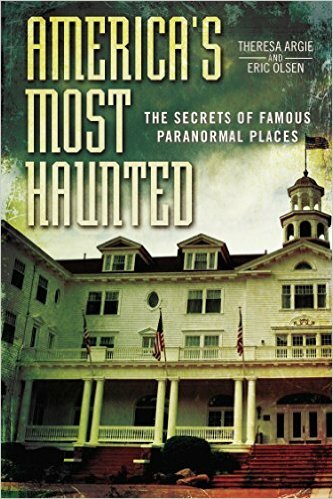 In her twenties, Amy spent her weekends flying to haunted locations and conducting her own investigations. Her passion for the paranormal became a full-time job when she joined SyFy’s Ghost Hunters in 2007. Amy founded Strange Escapes a few years ago, a paranormal travel agency that pairs people with the largest and most haunted locations in the United States. In between speaking at paranormal events and investigating ghosts, Amy stays at home in Massachusetts raising her daughter Charlotte. Adam Berry grew up in the small town of Muscle Shoals, Alabama, and had more paranormal experiences in his childhood than most people do in a lifetime. But unlike Amy, the spirits Adam faced terrorized him. When he was just nine years old, Adam saw a paranormal creature haunting his home. It looked like a menacing ghost dog, and Adam couldn’t escape the harrowing sound of the dog scratching against the wall. His TV mysteriously glowed even though it was turned off. In 2006, Adam had his most intense experience in Gettysburg, Pennsylvania. He saw massive white figures in a field, and heard loud gunshots and people yelling. He rushed to the paranormal sights and sounds, and found no explanation for what he witnessed. This event sparked his interest in the paranormal. In just a few years, Adam quickly progressed from unknown paranormal novice to well-respected researcher. His newfound passion led him to compete on Ghost Hunters Academy, which landed him a spot on Ghost Hunters in 2010.